Gatorflow™ — Terrain™ PVC/Nitrile Rubber Discharge Hose is a discharge hose featuring a PVC/Nitrile rubber tube and cover with polyester reinforcement. 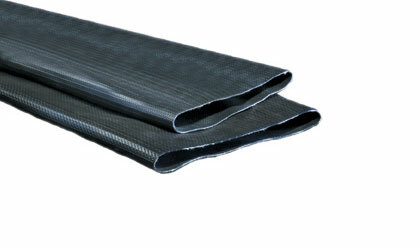 The polyester reinforcement provides working pressures equal to or higher than most PVC or rubber hoses. Use for frack solution & fresh water transfer and liquid manure, sludge & slurry transfer. Available now in 8" and 10" ID sizes in 660 ft. lengths. Click here for more info.